Hey, Fit Radio Fam! 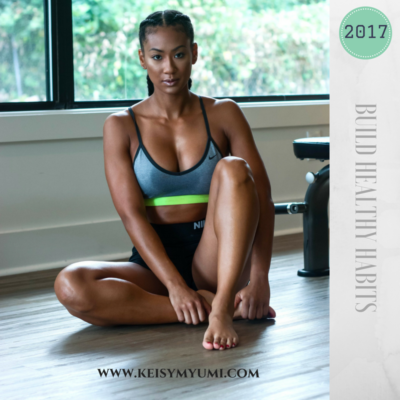 It’s your coach Keisy Myumi, and for those of you who have not tuned into any of the Fit Radio workouts, my name is Keisy, and I am a certified master trainer and unconventional strength specialist. I have been an Active Isolated Stretch Practitioner for 3 years and I make it my business to be an advocate for consistent stretching. Tight hips? Besides being uncomfortable, it can lead to back pain. When your flexors are tight you will have a tendency to lean forward while squatting. A forward lean will shift your center of gravity anteriorly and increase activation of your quadriceps while decreasing activation of your glutes. As a result, when you stand up your flexors are going to stay shortened, which will contribute to an anterior pelvic tilt and make it really difficult to adequately activate the posterior hip muscles. Basically, you need to stretch!! 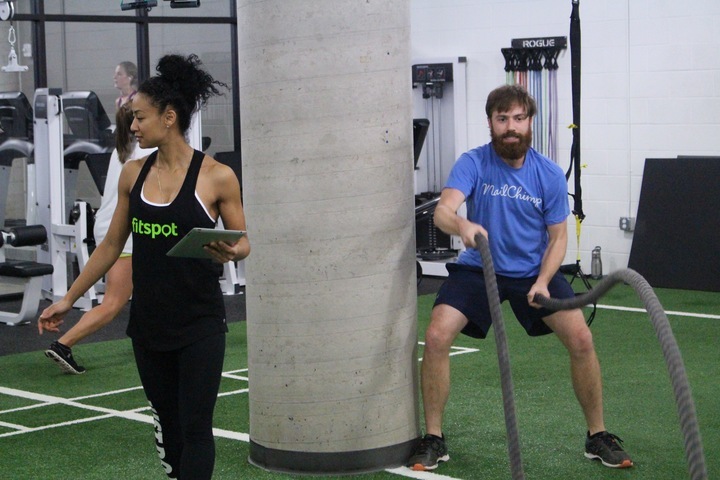 Teamed up with Fitspot & Muscle Milk for an opportunity to lead a bootcamp for this amazing company called Mail Chimp. I use them for my email blasts to clients, and was ecstatic to be able to work with them. They were a great group of down to Earth individuals, and it was a complete pleasure. We thoroughly had a good time, and I was able to provide them with a fun, yet challenging experience. It really put things into perspective for me because although they’re not a fortune 500 company, they’re decently reputable and respected. It’s definitely a personal accomplishment within itself. Be honest with yourself about where you are & where you want to be. Growth has a never ending cap, so aim high! Give yourself some credit that you’ve come far enough to realize something has to give if you want to achieve those goals. Get that physical, take those unflattering pictures, look up inspiration- do whatever will get you going to start working toward a better version of yourself NOW. I was blessed to have spent another year doing what I love. This year has been nothing short of amazing. When I travel, it’s a must for me to find a top notch gym. I’m not going to sit here and lie to you guys and say that it was love at first sight for me with gyms or even working out. I started going to the gym to gain weight, not because I loved gyms. Over time, my passion for fitness grew as did my appreciation for fitness equipment and gyms in general. Now, a nice gym to me is like a nice glass of wine. I am pretty particular about gyms, and also about my wine. (Pinot Noir is my favorite) I have been spending some time in Canada recently, so I needed to find a gym for when I’m there. I am very thankful to have found Olympia. Me and my Honey bear took the time to make some care packs to pass out around the homeless shelter. What a lot of people don’t know is that every homeless person isn’t allowed in a homeless shelter, and also just because people donate to the shelters on a daily basis, they rarely make it to the hands of the ones who need it most. 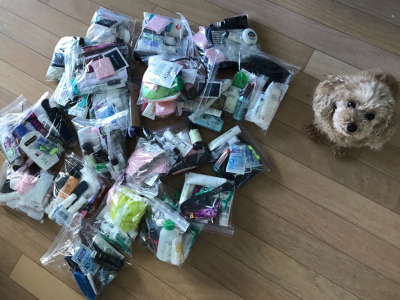 This particular shelter takes in donations, sorts them and distributes vouchers that allows you to get 2 articles of clothing and 1 hygienic product for example. Anytime I bring ANYTHING, I pass it out MYSELF. Want Workouts, Articles, & Updates? Email, Please!